Find the deep end—and jump in. 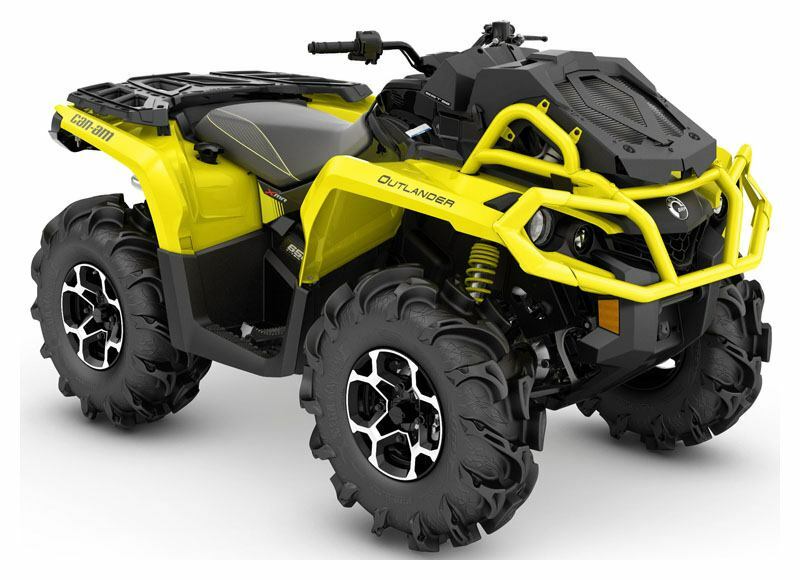 The Outlander X mr 650 gives unmatched mud performance with wider, revised suspension that makes the most of legendary Rotax® power and mud-specific upgrades. ROTAX® 650 V-TWIN ENGINE: The Outlander X mr 650 takes the 62 hp Rotax 650 and puts all of its torque to the ground with responsive throttle, a signature roar, and power to spare. Renowned for flexible reliability in harsh conditions and easy maintenance, Rotax engines have seen every corner of the world—and that's not a boast. RELOCATED RADIATOR FOR OPTIMUM COOLING: For heavy service and located in place of the front rack, the Can-Am Outlander X mr's radiator is kept out of the mud and wears a protective, vented cover, ensuring you'll be able to enjoy all-day rides in deep goop. The large, efficient radiator offers approximately 22 kW of cooling capacity. VISCO-LOK QE AUTO-LOCKING FRONT DIFFERENTIAL: Quality shines in everything we do—and the foundation is the next-generation, industry-exclusive SST frame with Geometric Contact Control. 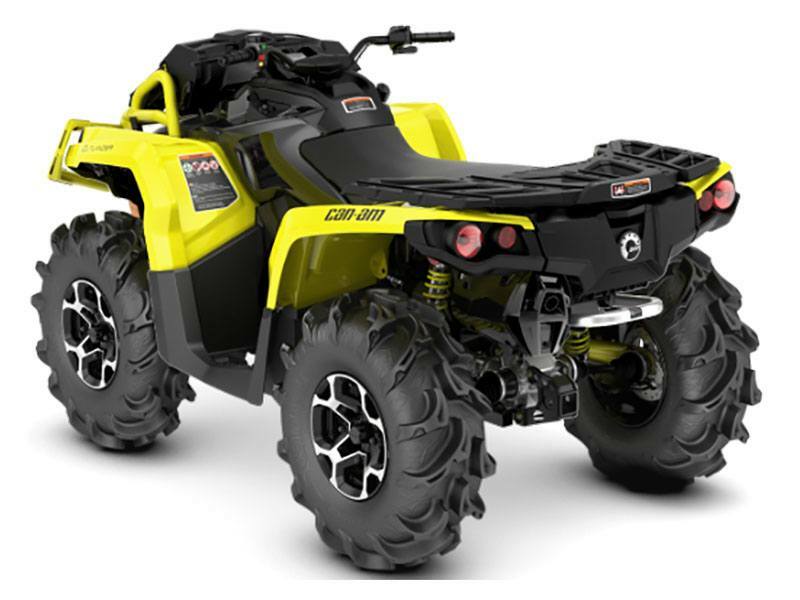 The efficient welded-steel frame incorporates advanced manufacturing processes and geometry for increased structural integrity, improved durability, and precise handling. 28 IN. (71 CM) ITP MEGA MAYHEM TIRES WITH 12 IN. (30.5 CM) CAST-ALUMINUM WHEELS: Want the ultimate in mud performance? ITP’s 28 in. (71 cm) Mega Mayhem tires were built from the ground up to be ground down: 6-ply rubber construction, tread pattern tuned for aggressive riding—backed up by beefy 12 in. (30.5 cm) cast-aluminum wheels that balance strength with low weight.